We are not an urgent care clinic, emergency room, cardiology center, or hospital. Do not call us and say “I have open heart surgery scheduled for tomorrow and I need cyruta so I can cancel my surgery.” We provide long term healing of tissue with supplements and food choices. MD’s “prop up” your failing body with medications and surgeries. Let them save your life and treat your disease. Our job is to help you improve your health and tissues so you never need “propping up” again! Cyruta is not sold on Amazon! The knowledge about how to repair arteries has been around since 1701. Heart disease has many causes, but the most common cause is eating too many carbohydrates per day for years. The chemistry that ensues is known and how to reverse it is also known but is not practiced in conventional medicine and rarely in alternative medicine. That’s why heart disease is never cured but merely managed. Eating animal fats, saturated fats and cholesterol have never been the problem. Please like, share and subscribe to my YouTube page to get notifications whenever I post a new video! 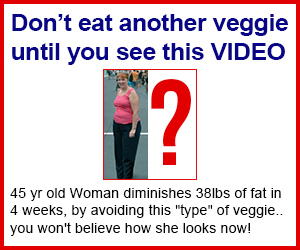 You have already taken the first step to better your health by watching my video! Next, I recommend that you join our Long Distance Patient Program so that you can get diet modification and supplement recommendations designed specifically for you by me or one of my fellow practitioners in our Ann Arbor, Michigan office. You have to be a patient of our office in order to receive supplements, per our distribution agreement with the producer of the Standard Process brand supplements. Becoming a Long Distance Patient as outlined below allows you that access. In order to be part of our online patient program, you would purchase an annual membership for $200. This membership includes an initial 30 minute phone appointment with me or one of our practitioners. At that time, the practitioner will make a recommendation to you for diet modifications, supplements and the quantities that you should take. After the phone call, you are able to order supplements for a year, as needed, directly from our website and our app. We will then promptly ship the supplements out to you. Follow up phone calls with your practitioner are $125 for a 20 minute phone/SKYPE appointment. If you would like to move forward and take advantage of this opportunity, please call: (734) 302-7575 or email intake@thenhcaa.com to schedule your phone appointment, and make the $200 payment. You can reach us by phone Monday through Saturday 9am-5pm EST. Since not everyone is fortunate enough to live within driving distance of Ann Arbor, Michigan, and many feel that an telephone/online consultation is not enough to meet their clinical needs, I am happy to offer you our Long Distance Patient Travel Package. The package is comprised of a series of appointments with myself or another practitioner that are time sensitive, and a time allowance of 48-72 hours in our beautiful city is required. Not only are your health issues of concern thoroughly evaluated, but you receive a comprehensive full body evaluation, two different computerized cardiac health tests, a great deal of teaching and health education, and leave with a program of diet modification and supplement support that the practitioner is confident will improve your health and quality of life. This program can initiate your relationship with our clinic, and be followed up with telephone/online consultations, or it can be incorporated into your already existing program with our clinic to further enhance the program you already have in place. The cost for the Long Distance Travel Package is $560 and includes everything mentioned above. We also have a relationship with a lovely landmark hotel conveniently located less than 2 miles from our office, that offers a reduced nightly rate to our patients. Potato's good or bad ? I bet he gonna become 200 years old. would camu camu or acerola do the same thing for opening the arteries because of the vitamin c content or is there something else about buckwheat thats doing that? I don't mean to be off subject but I recently heard that Multivitamins don't work they just placebos.. is dat true Dr schmidt, be koo if u did a vid on that..
Darren You Da man !!! What's the name of the vit c u had on there was too small to see? Sadly, the organization whom supposedly regulates our food needs to be revamped. 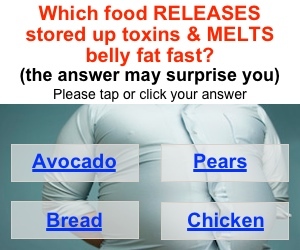 Due to ingredients which are harmful to the American diet. I had a heart attack 3 weeks ago can you please tell me what vitamin C I should use. Once the artery tears are repaired (using natural vitamin c, etc), would that also clear the arteries of the plaque that’s already there? Hope that question makes sense. I apologize, i have not gone through all the comments, but you say that Vitamin C is the vitamin that keeps our arteries from tearing and you reference citrus fruits. Why do you not also reference green veggies like spinach and broccoli? Is there something different with their vitamin and minerals ratios that do not allow the vitamin C in those foods to assist in the tears? Those brands are not here in Europe. I can buy Acerola berry powder that is high is absorbic acid. Can I assume this has all associated vitamin C compounds? Further, those tears in the arteries: is that the same as inflammation? Inflammation is when the body is trying to heal something, but if persistent or chronic it is failing, right? What about just taking oral chelation? It clears out the arteries naturally. You can order it online. What about raw unfiltered honey as still high in sugar but the pollen is good for You? I been doing a Tablespoon a day with cinnamon. I live in the uk can you please tell me if I can get your supplements here as I am 67 and had a heart attack 3 days ago and had a stint fitted and now they want me to take 7 different medications which scare the life out of me. I also had cancer of the lining of my womb and had a radical hystrocemety followed by brachytherapy and I have never felt the same since then. I stopped smoking 4 years ago and am not overweight and my blood pressure is on the low side. I also suffer from crippling depression and anxiety which I am taking Effexor 225mg for. Please tell me what to buy to help me recover without all the nasty medication. Please check Dr Caldwell Esselsytn and Dr Campbell they made studies how to actually reverse heart disease following a whole food plant based approach, Dr Gregger also shows the science behind it also worth to watch. Plus watch the Documentary 'forks over knives'. You are welcome. I have a doctor friend in India inquiring about this machine, BPA. Can you be kind to post info on details please. Yes doctors talk about the tear. It's common knowledge. You are creating a straw man, typically used by chiropractors and other types of "healers" who want you to think they have the answers that medical doctors don't want you to know about. It makes sense that natural vitamin C would be better as there is wisdom in nature and Whole Foods contain synergistic cofactors. Many people including famous scientist and vitamin C advocate Linus Pauling made no distinction between natural and synthetic vitamin C. Some like Linus Pauling and Abram Hoffer have advocated for high dose vitamin C in the form of ascorbic acid. Are you saying that ascorbic acid does not help the body fight disease through its anti-oxidant properties? This guy has Short patience. His motivation is selling his products he is promoting or charge you for his services. Though his message may have some merits. If we are supposed to take vitamin C Complex, then what dosage are we supposed to take? Ended rather abruptly but a great, informative video! I saw a piece of a video on facebook where a chiropractor said table salt is 60% glass and that's what scratches arteries.